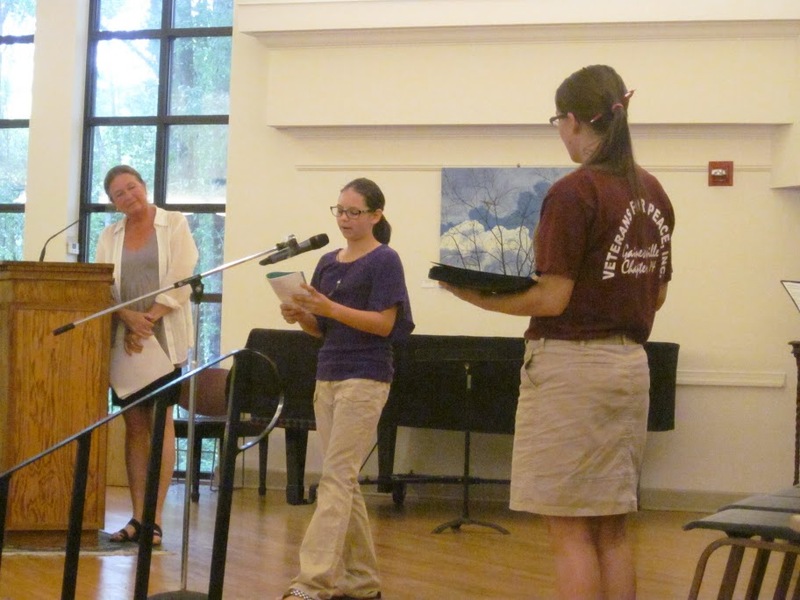 The 4th Annual Peace Poetry Contest, organized by Gainesville Veterans for Peace, was a great success this year with more than 230 total entries and 32 winners from grades 1–12. 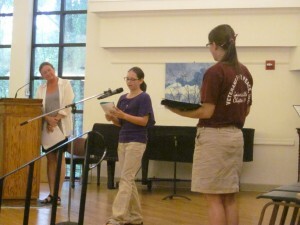 The Public Reading for the winners took place on May 11 at the Unitarian Universalist Fellowship. Below is the 1st Place poem for grades 1–5 by Caden Kresak, a 4th grader from Archer Elementary School. You can read all of the winning poems in the here: 2013 Peace Poetry Booklet. Photos of the event can be found here. Soon, you will also be able to see a video of the Public Reading there, thanks to the Samuel Proctor Oral History Program. This entry was posted in Articles, May-June 2013 and tagged peace poetry contest, Veterans for Peace. Bookmark the permalink.